A few more photos taken in October/ November 1983. 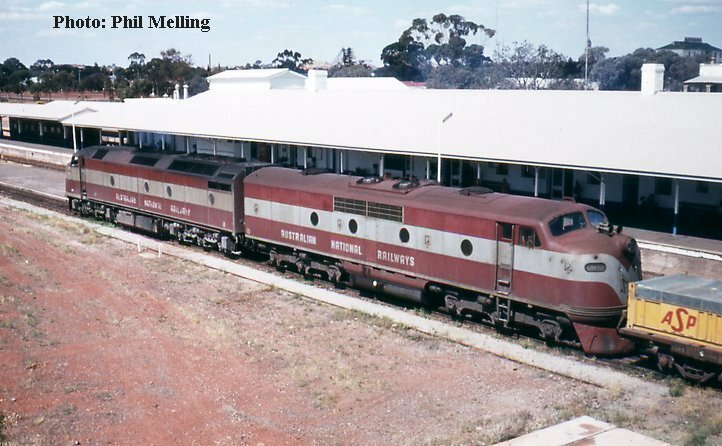 X1007 "Natingaro" after arriving with a Royal Show special at Claremont on 3 October 1983. 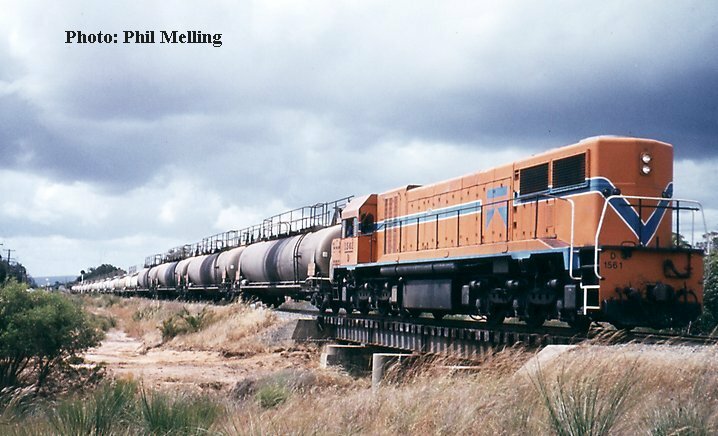 D1561 hauls a caustic soda train near Mundijong heading for Pinjarra on 6 November 1983. 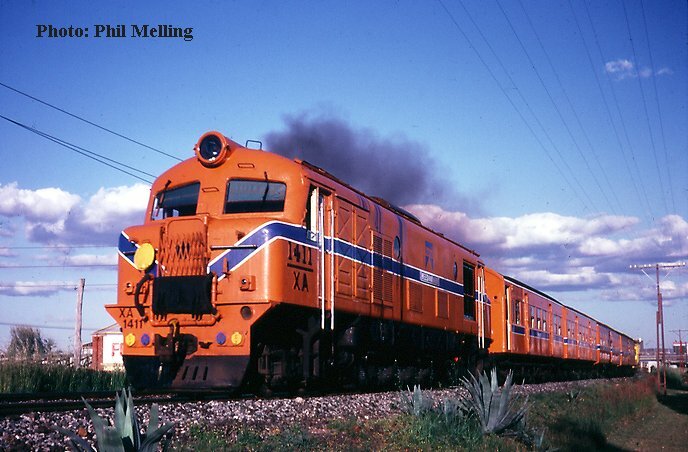 CL10/GM13 haul a freight train through Kalgoorlie station heading for Parkestone on 13 October 1983. 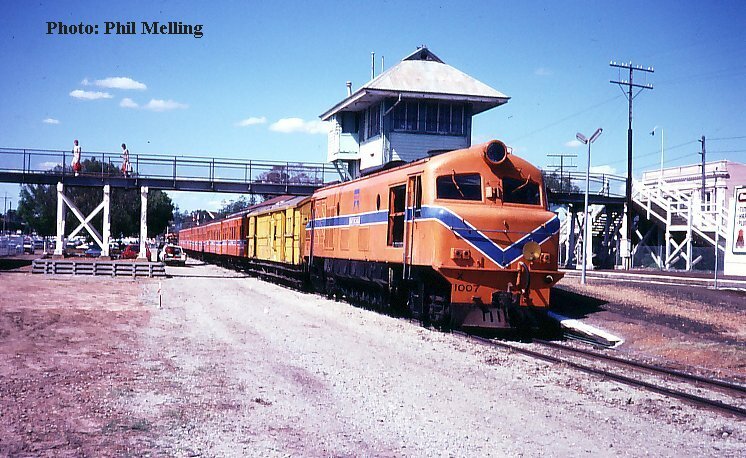 XA 1411 "Weedookarri" hauls a Royal Show special between West Perth and West Leederville to Claremont on 3 October 1983. Comeng W.A. 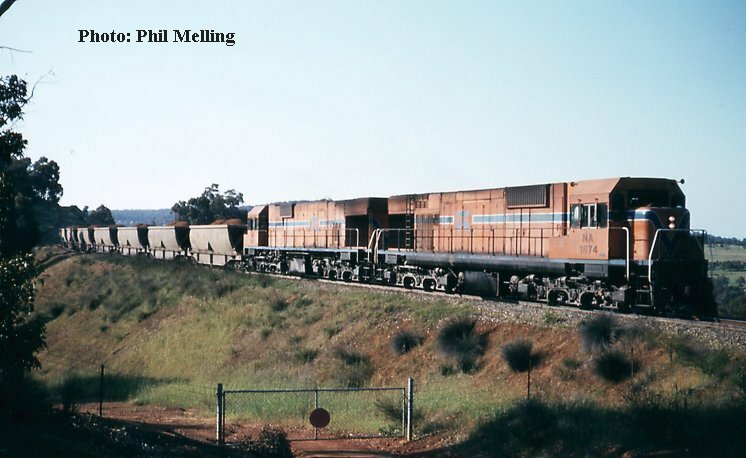 built Alco's NA1874/NA1871 haul a loaded bauxite train down from Jarrahdale heading for Mundijong/ Kwinana on 15 October 1983.